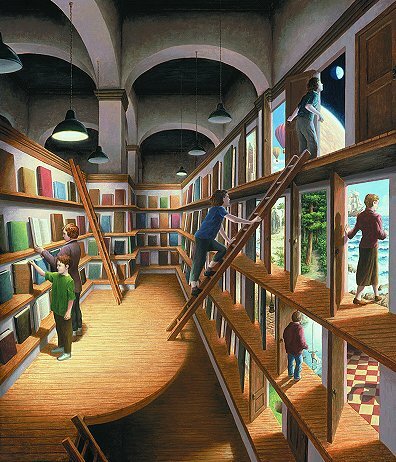 Rob Gonsalves (1959-) is a Canadian painter of magic realism with a unique perspective and style. 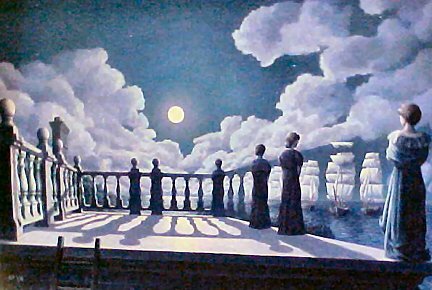 You can see influences of Dali and Escher, realistic and surrealistic, yet a style that is all his own. 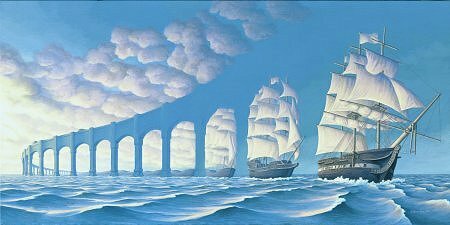 Rob Gonsalves’ work differs from the “surrealistic” category because the images are deliberately planned and result from conscious thought. 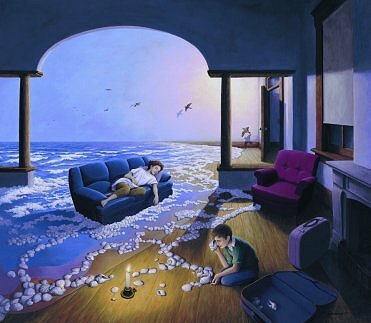 His work is an attempt to represent our desire to believe in the impossible. 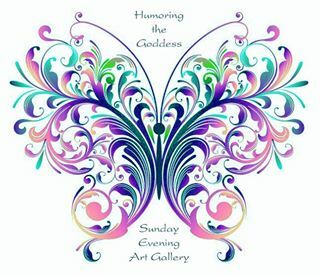 His ideas are largely generated by the external world and involve recognizable human activities, using carefully planned illusionist devices. A touch of magic, perhaps. It is like he takes what we know, and turns the canvas just enough to make us wonder exactly what it is we are looking at. 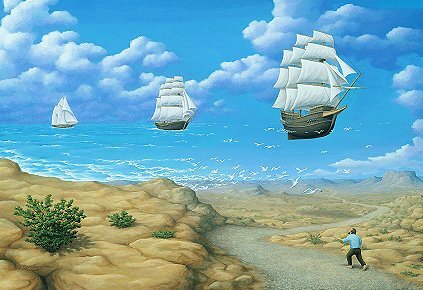 Maybe the term “Magic Realism” describes his work accurately. But then again, why label anything so magical? 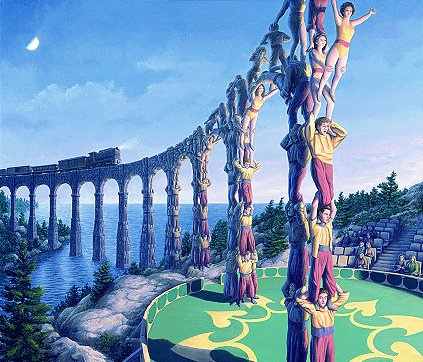 His fantastic work can be found all across the Internet such as http://www.paragonfineart.com/artists/rob-gonsalves.html and Rob Gonsalves. 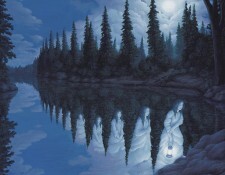 I love the way the pictures turn from one thing into another and you don’t really notice it at first.